BCS integrates automation and control solutions -- such as A/V, lighting, shading, security, voice-activated assistants and Building Management Systems -- so you can control everything from one platform. From individual room scheduling with easy Outlook integration, to full room control through a single base station, and integration with popular audio equipment manufacturers, the customization for your room automation is endless. With Crestron, you aren’t just buying top-of-the-line electronics, you are investing in scalable and customized solutions. 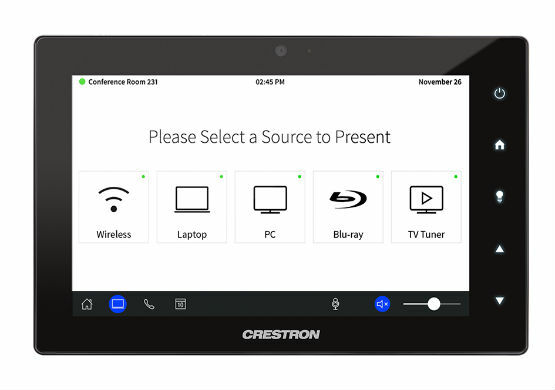 Crestron’s powerful line of products incorporate audio, automated lighting and window shades, and video for high-tech, user-friendly conference rooms that cover it all. With motion sensors, automated light and shade scheduling, integrated video presentation systems, and speakers from Sonos, you can sit back and let the room do most of the setup and work for you while you prepare for meetings and focus on your business. Booking a conference or huddle room for your meeting has never been easier with room scheduling integration. If your teams suffer from conflicting meetings and a shortage of meeting spaces, automated room scheduling can assist with your scheduling issues. By integrating room schedule programming into your existing network software, your team can schedule meetings as normal but also simultaneously locate an available room and reserve it for that meeting time. For an added convenience, you can schedule a follow-up meeting while still in your current meeting. Colorful touch screens are installed outside of meeting rooms which display existing scheduled meetings and allow for others to view the room availability and book a meeting. The backlit lighting on each side of the panel glows green to indicate an available room while a red glow shows that a meeting is in progress. Also available is a mobile app which lets users easily search for the best space to meet based on proximity, seating capacity, and technology capabilities. Keep your teams and rooms organized with these room scheduling features. While it is nice to have a room with a view at the office, sometimes that view needs to be covered up temporarily. 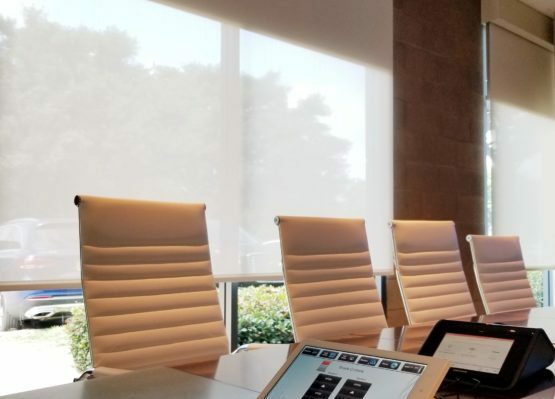 Automated window shades are available in a variety of colors, weights, and styles to match your desired meeting room aesthetics and are fully controlled by remotes or programmed buttons within the room itself. The presenter and attendees of a meeting can sit back and have the meeting start on-time without the fuss of pulling on strings or loops of traditional blinds. With BCS’ automated shades solution, your meeting rooms can have light-weight fabrics for some simple coverage all the way to near blackout shades for full privacy or maximum reduction in light infiltration. You will be amazed at how quiet these shades can be. This is an important feature if you will need to close the shades during a presentation. Automated lighting controls integrated with your conference and meeting room spaces can create the perfect lighting scheme. Customizable brightness specific to you and your teams’ preferences can ensure that you spend more time on the subject at hand rather than adjusting lighting to see screens and displays. Recurring meetings that take place at the same time of day can be scheduled and remembered in the system’s settings so that the lighting settings auto adjust for when the specified meeting starts. 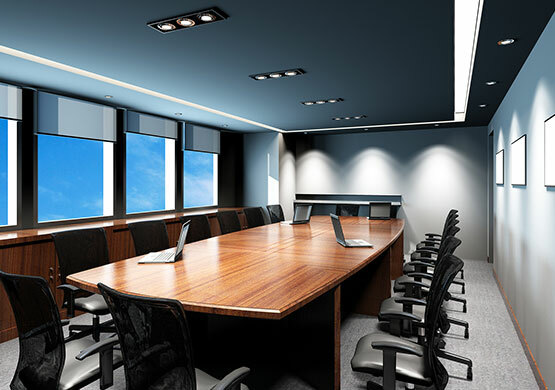 Lighting can also be integrated into a touch control panel within the meeting room to give your team full control with the single press of a button. Occupancy sensors can be installed in rooms to illuminate when a person enters the room or to remain on during a designated period of time. Occupancy sensors also provide a way to save electricity by making sure that lighting is active only when people are in the rooms. 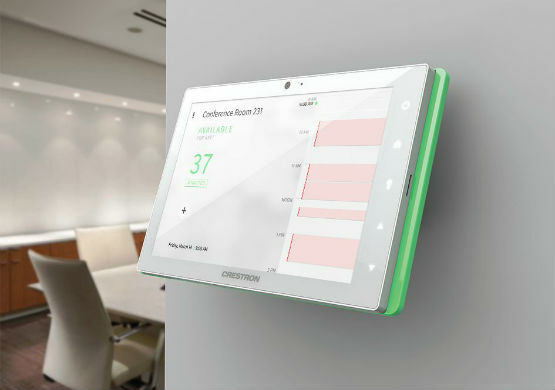 Take the complication out of meeting setups, manual adjustments of lights, display input sources, and more with a room automation one-touch control screen. Acting like a universal remote for your meeting spaces, these one-touch control units give you simple and full control of a meeting without having to juggle through multiple setting adjustments. This means that your team can take control with the touch of a button, making communication and collaboration easy for all users. During a meeting or presentation, having clear audio for all participants is crucial for success. With BCS’ variety of speaker options that integrate with room automation and conferencing services, we can design and deploy an audio system in your meeting spaces (or throughout your entire facility) to make sure that you and your team can hear important pieces of information. 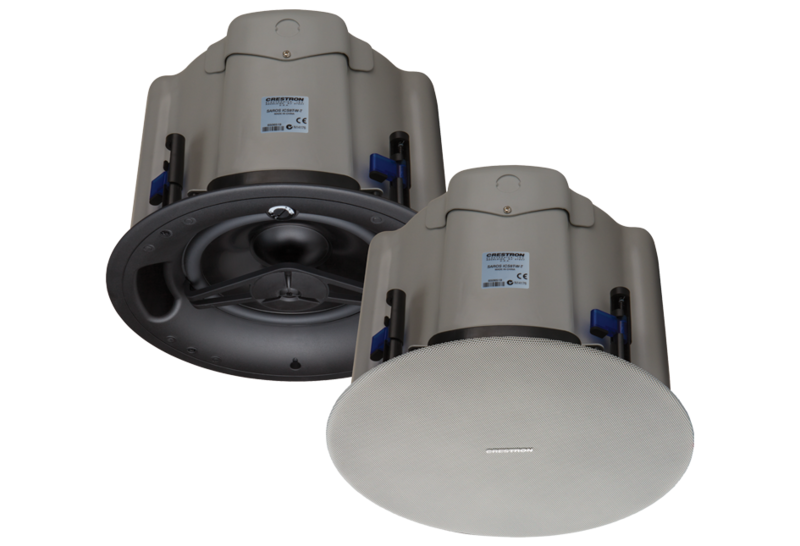 Our variety of products can be installed to seamlessly blend in with hard-lid ceilings, ceiling tiles, or open ceiling environments for a sleek and subtle look.